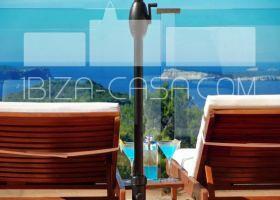 Comprehensive and in very good quality modernized and expanded WHITE-VILLA with lots of charm, natural stone elements, next to Cala Salada beach. On a private and totally fenced West-orientated green plot of land with sep guest-part, 2 times driveway in and parking and between beautifull mediterrane terraces many sporting amenities Tennis court , GYM , large infinity pool with cascade and 2 times pool plant. Quiet and sunny location with many chilout areas, Bali-houses and with stunning sea views and 365 days sunset. 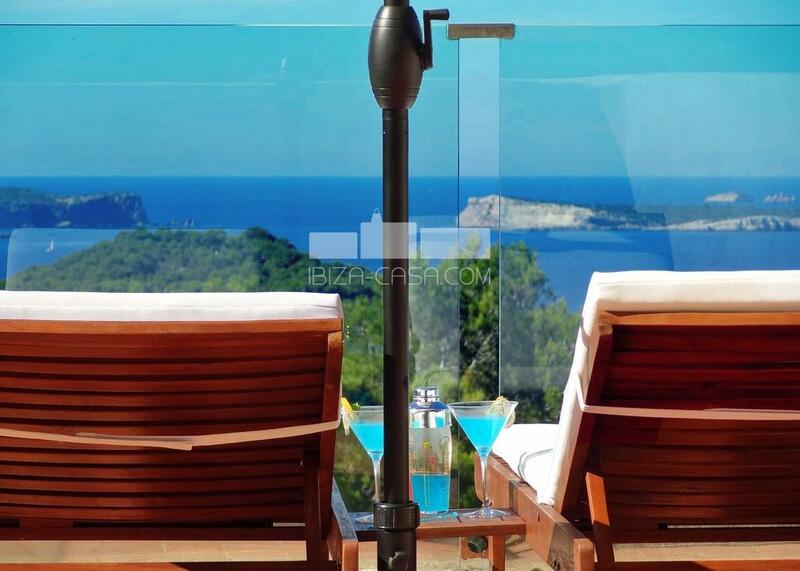 Really something special, ideal for relaxed holiday or a longer stay in one of the most beautiful corners of the island Ibiza.